Lizzie is nine years old now and adjusting her new home in Jefferson County. There’s so much to get used to—a new school, new friends, new ways of dressing and speaking. Mostly Lizzie loves her new life, but it’s not easy getting used to so many changes at once. Perhaps the hardest part is growing up itself. Suddenly her older sister Emma expects Lizzie to “act her age,” but what does that even mean? Is it wrong to want to splash in slush puddles, play games with friends, and run through the woods? Lizzie wants to be a good girl, but it’s confusing to know when it’s ok to have fun, how she should pray, and why she still does naughty things. Mam and Dat seem to have enough money now—there’s plenty of food and the kids even get extra special Christmas gifts. Mam smiles more and Dat seems more relaxed. But when Lizzie and Emma wake up to a room full of smoke, they realize danger can strike even when things feel the most secure. Will their new community come to their aid after the fire? And why does God allow such scary things to happen? 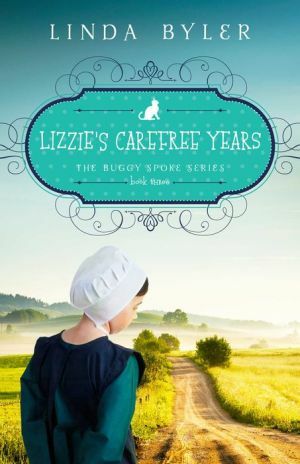 This is the third book in the Buggy Spoke series, which follows Lizzie through her tumultuous teenage years as she struggles to mesh her hot temper and willful ways with her Amish faith. These books are the prequels to Linda Byler’s bestselling Lizzie Searches for Love Trilogy and are geared to a younger audience (ages 8–10). Reminiscent of Laura Ingalls Wilder’s Little House series, these books are delightful accounts of another way of life; each chapter is filled with vivid descriptions of Amish food, farms, and traditions. The series explores themes of respecting parents, not fitting in, sibling rivalry, recognizing your own shortcomings and gifts, and reconciling a strong personality with an abiding faith.